After travelling around the world, we’re pretty good at knowing what travel gear works in our backpacks, and what doesn’t. 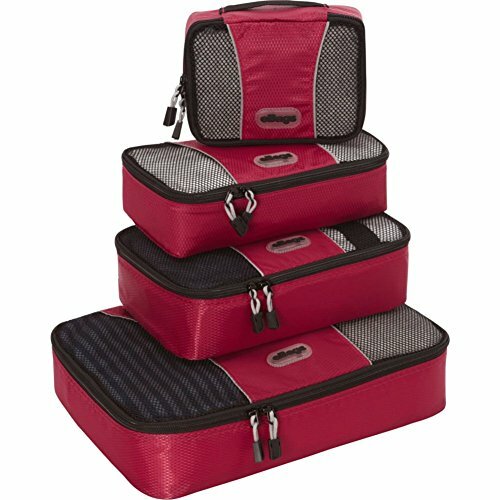 We have our favourite travel accessories that are invaluable to us while on the road. Some of them save space, some of them protect stuff, some of them organise stuff and some of them stop the kids getting bored and therefore annoying. 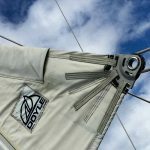 Can our favourite backpacking travel gear really turn into must have boat gadgets for our sailing trip around the world? Yes! But there are so many more boat gadgets too. 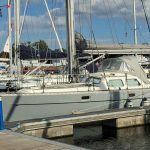 We’ve started a new adventure which involves us living aboard and travelling on our sailing boat. 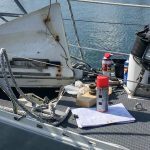 Some of our favourite and most useful backpacking gear is now proving to be very useful for living and travelling full-time on a boat. Useful travel gadgets have now become must have boat gadgets and sailing gadgets. A sailing boat is obviously nothing like a big backpack, but space and storage is still at a premium. It’s very tempting to fill the boat with stuff that would be nice to have, but we’re trying to think of it as a massive, floating backpack. We need to stick to must-haves, not would-be-nice-to-haves, and definitely not just-in-case-we-need-its. 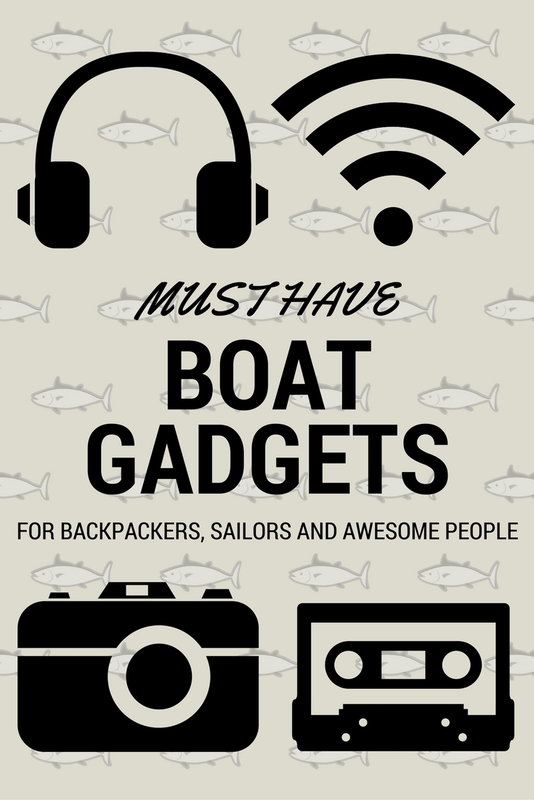 So here’s our handy guide to the most awesome boat gadgets; essential travel accessories, some of which we used while backpacking around the world, some that we have discovered more recently that are now sailing around the world with us. Packing cubes are one of my favourite backpacking organisational things. They are really simple. Just a rectangular bag with a zip that you put your clothes in. How can that be an amazing travel accessory? Well, it is. Get some for your backpack, your suitcase, or the drawers in your 43 foot sailing boat. Go on. You know you want to. In our backpacks they held underwear, trousers and shorts, t shirts and a jumper. They organised our clothes and other stuff, so we could find what we were looking for. On the boat they hold, pants and socks, sailing gloves, woolly hats, Turkish towels and fit nicely in tiny funny-shaped boat drawers. They come in different sizes and different colours. These are the ones we have, but there are LOADS of others now, in loads of lovely colours. I can’t recommend these bottles enough! It’s only when you’ve been travelling for a while in countries with unsafe drinking water that you appreciate being able to drink straight from the tap at home. Bottled water seems relatively cheap when you are on the road but you can’t ignore the massive environmental impact of plastic bottles on the environment. Over a million plastic bottles are sold worldwide every single day, most of them ending up in landfill or in the sea. The world is awash with plastic. Finding clean and safe drinking water while travelling is tricky if you don’t want to add to this problem. And we absolutely DON’T want to add to this problem so we took 75cl Water-to-Go bottles with us when we backpacked around Asia for a year with our two kids. We used them almost every day, from drinking from Himalayan rivers to cleaning our teeth in Indian hotels. We could fill up from streams, rivers, hosepipes and taps without worrying at all. They probably saved us from using hundreds of single-use plastic bottles and, over the year, saved us loads of money. And we didn’t get sick at all when we we’re using them. 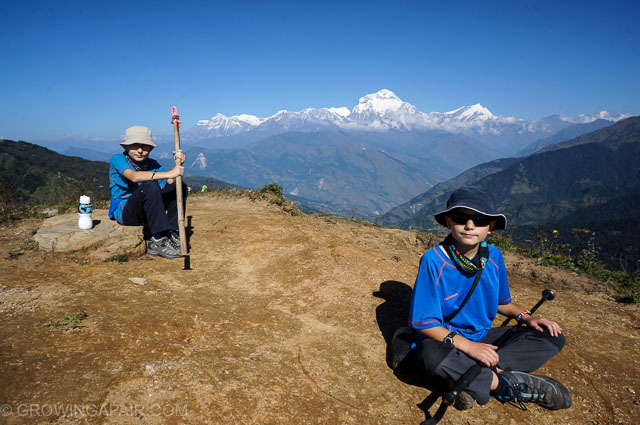 Trekking to Annapurna base camp in the Himalayas. We used our Water-to-Go bottles for fresh, safe drinking water every day. Now we have a sailing boat and our Water-to-Go bottles definitely make it onto the list of must have boat gadgets. We will be living aboard and exploring the sort of places which might have suspect drinking water or dodgy marina hosepipes to fill up your freshwater tanks. The sort of places that don’t need any more plastic waste polluting their environments and wildlife. We can safely drink tap water on land, as well as on the boat. We can even drink rainwater without worrying about contaminants. UPDATE – After several months of living on our boat, we’ve found we use the Water-to-go bottles constantly. Although we have fitted an in-line water filter to the drinking water supply that comes from the water tanks, we still add some chemicals to the water tank. The chemical, chlorine-y taste is removed by the Water-to-Go bottles. We have also found that water from local sources can be a bit dodgy, with particles floating in it. This water goes into our water tanks, so Water-to-Go bottles are keeping us safe from this water. We found that we were not drinking enough water as it didn’t taste too good, but we have changed that by giving each crew member his or her own Water-to-go bottle. Result! 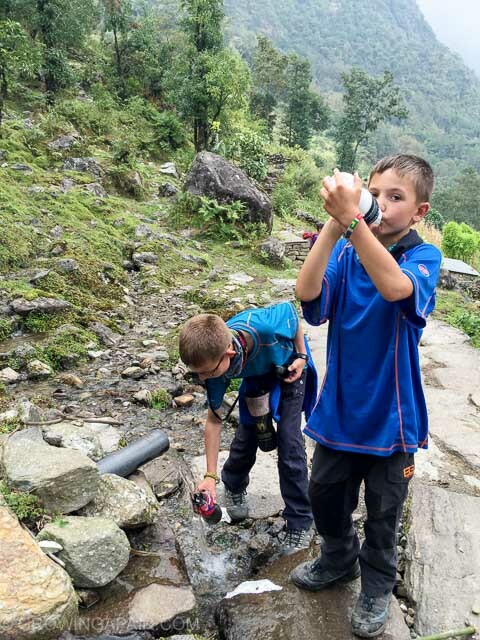 Filling up our bottles from a stream in Nepal. Water-to-go bottles use a water filtration system, originally developed for NASA, that filters 99.9% of contaminants including metals, chemicals, bacteria, viruses, and parasites. They are easy to use. Just fill up and go. No more faffing with steripens or sterilising tablets. And the water tastes good too. The bottles come in two sizes; the 75cl Water-to-go bottle and the 50cl GO! bottle. Filters also come on two sizes; for the 75cl bottle, filtering 200 litres and lasting 3 months, or for the 50cl GO! bottle lasting 130 litres or 2 months. Water-to-Go bottles cannot be used for salt water though, so no filling up from the sea! And according to their website, you shouldn’t use them for drinking urine either, just in case you were considering it. Our Water-to-Go bottles are a must have boat accessory and travel companion. No more plastic bottles and we save money too! 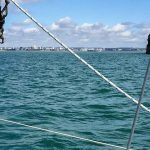 Highly recommended and one of our best sailing gadgets. I’ve even written a Water-to-Go filter bottle review – Click here to read it. 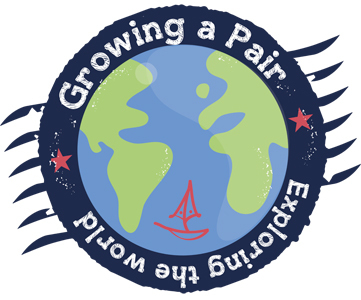 We love these so much that we’ve arranged a 15% discount for Growing a Pair Travel Blog readers. Go to the Water-to Go website and enter the code GAP15 at checkout. You’ll get a 15% discount on Water-to-Go bottles and filters. 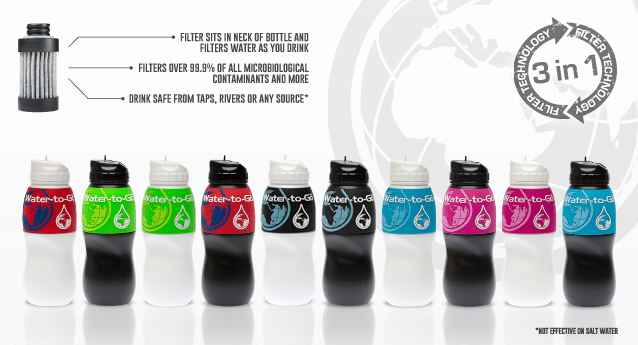 If you are not in the UK, Water-to-Go have worldwide distributors. Check out their website for a list of distributors or click here. 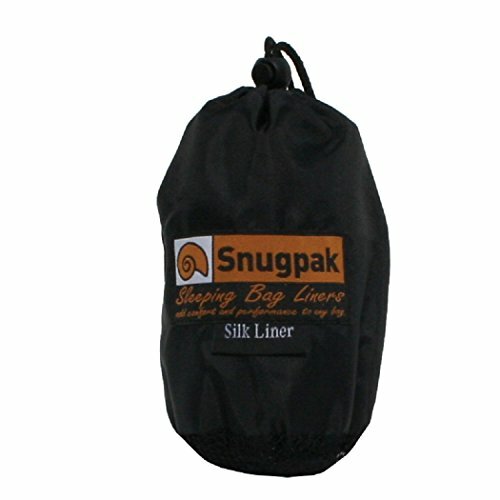 Sleeping bag liners are essential for dodgy backpacker hostels with suspect bedding. We used them a lot while travelling. They are also fantastic for sleeping in warm, sticky rooms. 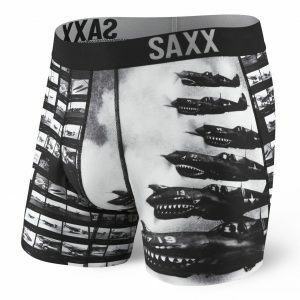 These make sleeping on the boat much more comfortable. If it’s a bit warm and sticky (even British summers get warm and sticky), they cover you up just enough and they add warmth to your blanket if it’s cold on the boat. Keeps you cool and keeps you warm. What’s not to love? We recommend the silk version. It’s cooler and lighter, packs down smaller and wicks away moisture. The cotton sleeping bag liners are good too though, as are the microfibre ones, and they’re significantly cheaper. Sleeping bag liners can also be infused with insecticide, like Permethrin. Those nasty mozzies don’t like it. Our kids refer to them as our “slug bags”. If you get the black ones, they make you look like a massive slug, if you squint a bit. 2019 UPDATE – I still stand by these slug bags for cooler climates but here in the Caribbean it’s too hot for any bed covers! In 2003, Dez and I went on a year long round the world backpacking trip to some of the sweatiest parts of the world. Dez took three pairs of pants (and I don’t mean trousers). Three pairs for a year. He brought the same three pairs home after a year. Since then he has discovered Saxx ‘life changing underwear’. They have a patented BallPark Pouch for friction-free support. Nice. They have a 3-D fit with non-chafing seams and, more importantly, they wick moisture and dry really quickly. And they are made from cotton with a little bit of spandex. Who doesn’t love a little bit of spandex? Now he can wear the same pair of undies for a week if he wants, whether he’s backpacking, sailing or whatever. This simple, ickle tiny bit of electronic gadgetry kept both parents and kids sane for a whole year of train, bus and ferry travel. This is a wire that plugs into a phone, tablet, iPad, laptop, and then splits so that you can plug two sets of headphones in. 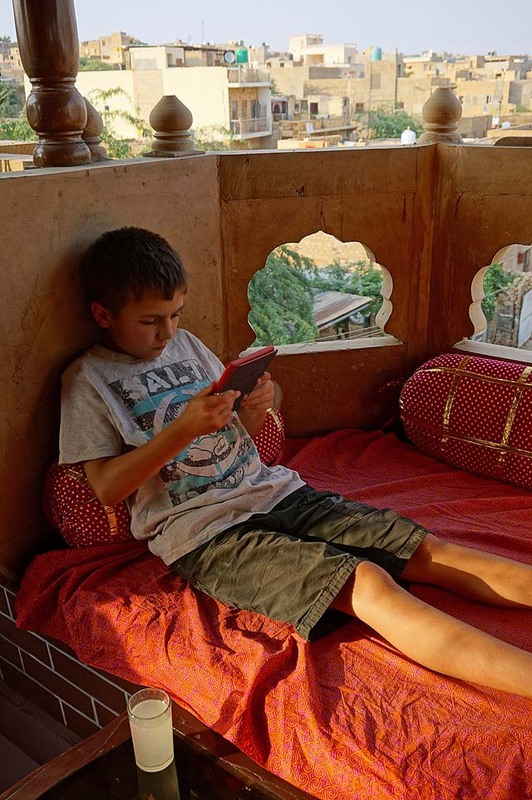 The boys could watch movies on their tablet, listen to audio books or music, together, without disturbing other travellers, or us for that matter. Genius. UPDATE – These are used a lot on the boat now that we are living aboard. We have bought a projector for watching movies as a family, but the boys still like to chill out in their cabin watching movies or cartoons on a laptop. 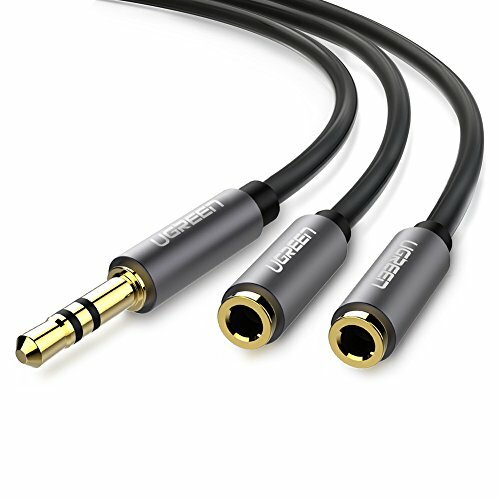 There are loads of headphone splitters on Amazon – search for them here. To go with these we’d recommend a decent set of head phones or earphones too. And that leads us to the boys’ favourite travel (and now boat) gadget…. I asked both boys to tell me what they though was the most important travel gadget in their backpack when we were travelling. Evan said “Definitely my Kindle. It was awesome for that 36 hour train journey in India.” Sam said “Kindle. I’m not sure I would have got through all those bus journeys without my kindle!” I see a pattern forming. Any kind of long term travel creates a lot of downtime. Travelling takes time. Public transport takes even longer and I suspect sailing will take even longer that that. We love reading, but carrying all those paperbacks around just isn’t realistic when we are travelling and space is limited on a boat too. The boys have used their Kindles a lot since we’ve been spending time on our boat, mainly while swinging on a hammock on the deck, or floating around in our inflatable kayaks. We have Kindle Paperwhites. 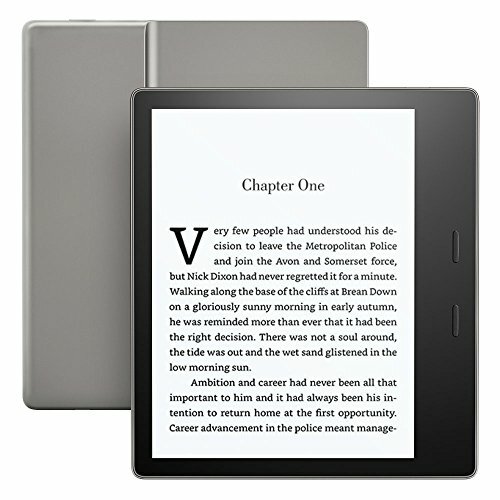 These are so much better than the Kindle Fire if you want an e-reader. Reading only, that’s what you need, for kids at least. Don’t get the cheaper one without a backlight. Splash out on the Kindle Paperwhite. The light-up screen allows you to read both in the dark and in glaring sunlight, so they are awesome for overnight travel, lounging on the beach, or swinging in a hammock on the foredeck. And the battery lasts for weeks on one charge. And now.. guess what? There is a new waterproof Kindle! Yay! 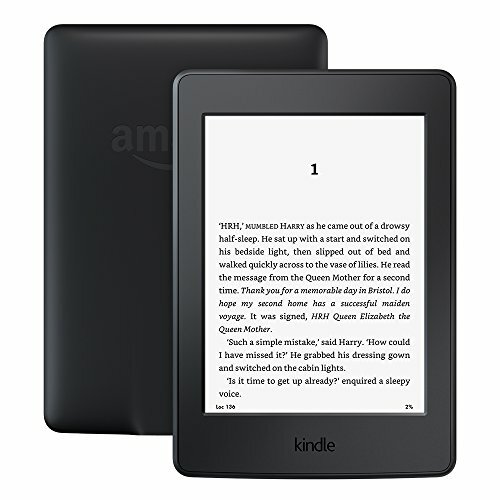 The Kindle Oasis! It could almost be designed for sailing around the world in a boat! The ultimate sailing gadget for cruisers. So, the Kindle. Travel gadget, boat gadget, backpacking gadget, dodgy public transport gadget, home gadget. Top gadget for pretty much every situation as far as we’re concerned. We love a good waterproof dry bag. The first time Dez and I travelled around the world, we started in Kolkata in India. On the second day or our year long trip we were caught out in the biggest monsoon downpour I have ever seen. Our pathetic ‘waterproof’ covers for our backpacks were useless. The streets were knee deep in rainwater and we were completely soaked through in minutes. Unfortunately so were our passports, money and every single plane ticket for a whole year of round-the-world travel. What a pair of numpties! Just a plastic ziplock back would have done the trick! Read about our adventures in Kolkata in 2002 here – our first ever blog post. We haven’t made that mistake again. Now we carry small dry-bags with important documents and money safely tucked away in them. And even better, we carry a 20 litre waterproof dry-bag with a shoulder strap. It folds up neatly in our big packs and we pull it out for trips to the beach, diving and snorkelling trips, boat trips, or just when we are somewhere tropical and monsoony and we need to keep stuff dry. I don’t think I need to explain why a waterproof dry-bag is a must have boat gadget, do I? I’m yet to drop a bag over the side of our dinghy on the way to the boat, but I’m sure it’s only a matter of time. 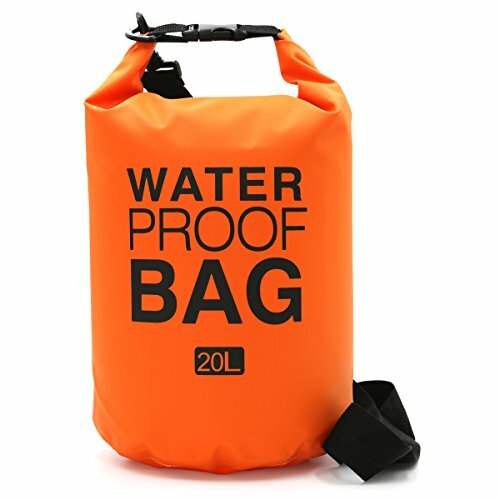 In fact, my next purchases will be a proper hard-core waterproof dry bag that doubles as a backpack, with proper shoulder straps and a proper waterproof laptop bag. Our latest and greatest dry bag purchase was discovered at the Southampton Boat Show this year. With no working fridge on our boat, this miracle of genius-ness keeps drinks cold for 24 hours and supplies ice for gin and tonic for posh visitors. That’s effectively a whole weekend of cold beer and ice. We can have a nice cold beer after a hard day of finding broken things on our boat. Lovely. Put your cans of drink (it doesn’t have to be beer but obviously that’s preferable) in the bottom, pile ice cubes on top, seal up, open the air valve to increase insulation and head down the beach for a BBQ! It even floats when fully loaded. Love it! Dry Ice Cooler Bags are available in different sizes and colours. 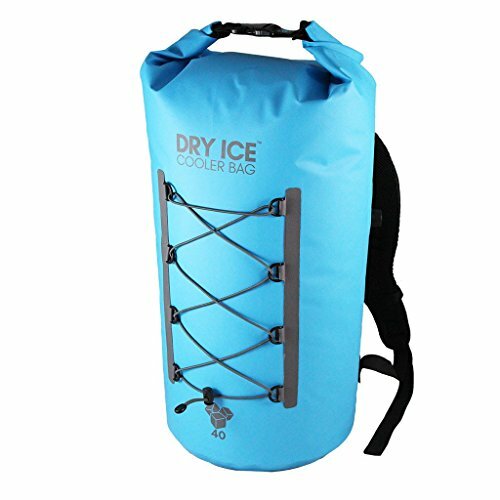 See the full range at their website www.dryicecoolers.com . 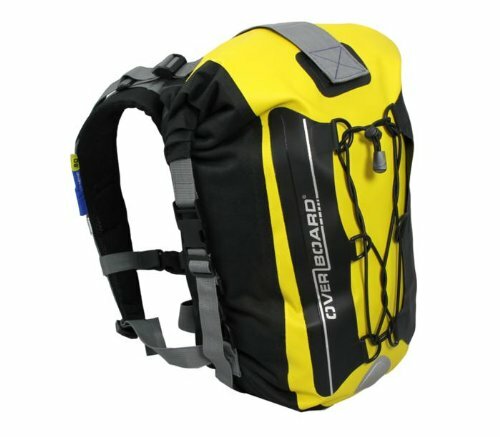 They are a British company, but you should be able to find other, equally awesome cooler bags on Amazon, like this Overboard one. Wherever and however I travel, my camera is the most important travel gadget for me. I’ve always loved photography and my passion is travel photography. Street portraits. Local characters. People going about their everyday business. A photograph tells a story and holds memories. These days, your phone can take a fantastic photo. Smartphones are slowly killing the compact point-and-shoot camera market. You’ve only got to look at Instagram to see that anyone with the latest smartphone and the ability to frame a shot can produce a decent photograph. I often use my phone as a camera. After all, the best camera is the one you have with you and the convenience of a smartphone is an important factor. But I love my DSLR. There is no competition when it comes to photo quality and range of functions. My current camera is a Sony Nex-6. It’s old now and it’s not a ‘proper’ DSLR. It’s a mirrorless camera and it’s not full frame, but it’s smaller and lighter than many DSLRs, which is important for me as a travel photographer. I’ve tried the back-breaking, massive DSLRs by Nikon and Canon, but I ended up leaving them in the hotel room instead of lugging them around a city. And people don’t seem to be that fond of someone shoving a massive camera in their faces. So I find a smaller camera sometimes gets me a better shot. Anyway, I digress, and unless you know about cameras, you probably don’t know what I’m going on about. My recommendation for a small, proper camera with interchangeable lenses and the ability to take awesome photos is not the Sony Nex-6. Sony don’t make it anymore. 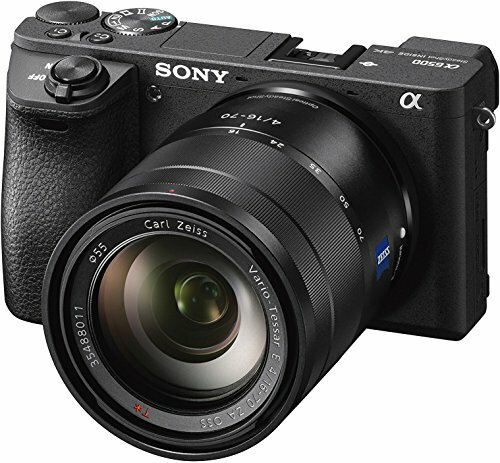 Get the latest version, a Sony A6300 or a Sony A6500. Or for a full-frame version, the Sony A7R II. Nice. Don’t take my word for it though. This is my opinion and we know the saying about opinions and arseholes, don’t we? Don’t buy anything until you’ve properly researched it. Or use your phone. Whichever camera you have, a mini tripod is invaluable for travel. 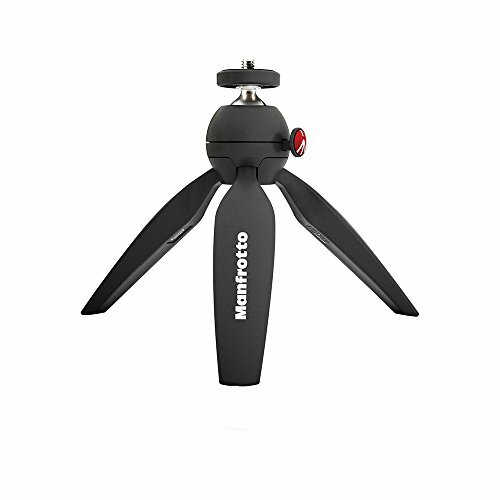 We have the chunky and fabulous Gorilla Pod but the one we use most of the time is the Manfrotto mini tripod. It’s sturdy, fully adjustable and stable enough for a big camera. It also has rubbery feet and so far hasn’t slid off the deck of our boat. 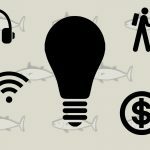 Whether you are backpacking or sailing, your supply of electricity is likely to be limited. A portable battery pack is essential. It is probably one of the most used gadgets in our backpacks and we’ve used it every time we’ve been on the boat. 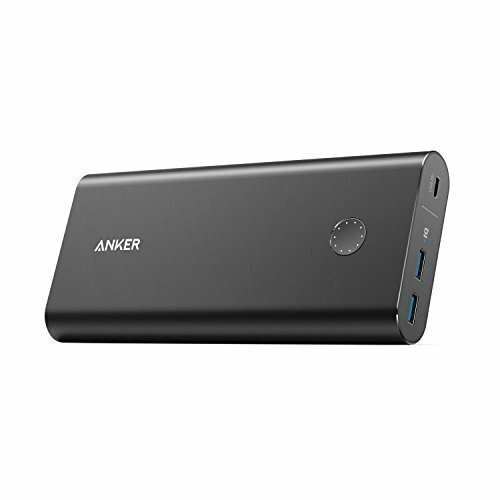 We have the Anker PowerCore 26800mAh external battery. It’s not tiny but charge it up for a night and it will charge your phones, tablets and camera batteries for a week. I can get up to 10 charges of my iPhone 6 on a single overnight battery charge. Not that I get the chance as it’s used to charge up so many other gadgets. It has three USB ports too. UPDATE – We have solar panels on the boat now, which definitely helps with keeping our electricity supply constant. These batteries are still used every day to keep our phones and tablets charged. And we take one out with us whenever we go exploring. There are loads of really powerful external batteries available now, of all shapes and sizes, and prices. We are currently using one to keep our navigation iPad charged while we sail. We’ve bought and tried cheap battery packs, and solar powered ones too. You get what you pay for when it comes to battery packs- ‘Buy cheap, buy twice’. 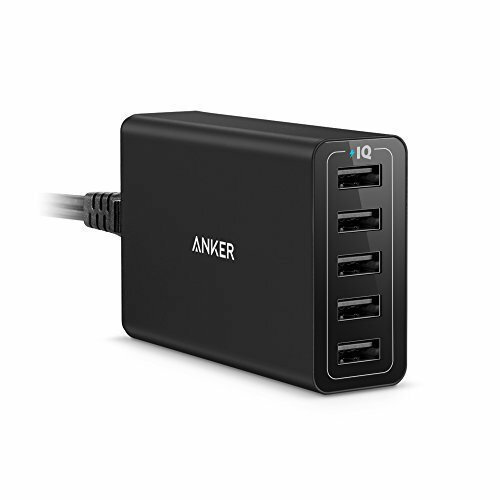 Another essential travel gadget is a USB charging hub for charging up all your gadgets at once. This is invaluable in hotels rooms with only one or two wall sockets, and on our boat when we are in marinas and therefore using mains electricity. We have a charging hub with five USB ports, but they are available in a variety of sizes. We can plug in phones, tablets, cameras and laptops at the same time, as well as charging up our big external battery. When I asked Evan (age 10) to tell me the most important things to take with you when you go backpacking, this was his first answer. I’ve added it to the list because it made me smile. Me : What are the most important things to take backpacking? Evan : A good attitude. Evan : No, honestly, you’re gonna need a happy attitude if you’re gonna go backpacking or you won’t enjoy it. There are things that aren’t good about backpacking so you have to learn to overlook those ones. Me : What sort of things? Bless him! He’s right. Travelling isn’t all ballooning and beer o’clock. But you can’t beat a good travel gadget to put a smile on your face. There are loads more must have boat gadgets out there. I’ve struggled to keep it to just ten. So here’s some other stuff that we recommend….. Yes, that’s right, we are recommending one of those tubes of stretchy material that some travellers think make them look cool, but actually make them look like a knob. We’re not talking everyday wear here. We keep one each in our backpacks when we are travelling. We bring them out in extreme situations where looking like a knob is better than freezing to death. 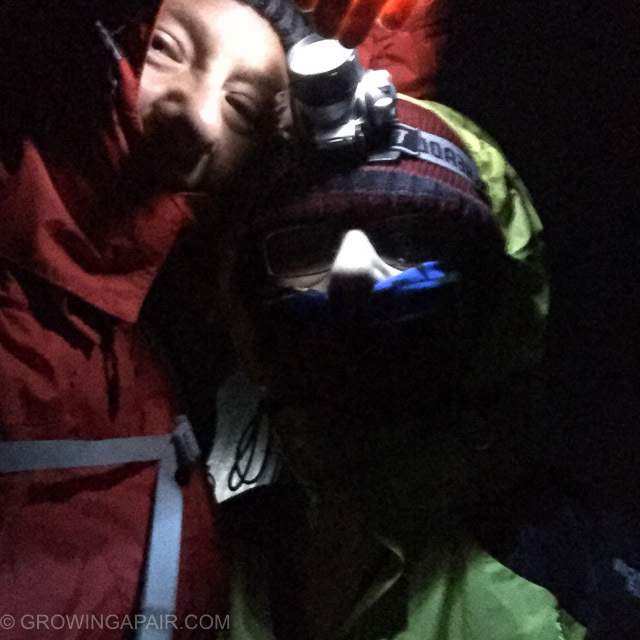 When we were nearing the summit of Mount Kinabalu at 4am, being buffeted by freezing wind, we were glad we knew how to turn one of these things into a balaclava. To be honest, Evan loves his zombie version. But he is 10 and isn’t scared of the Fashion Police. 4am. Freezing gale. Half way up a mountain. Looking warm and snuggly. Sort of. The proper official original Buffs are good, but if you happen to be in South East Asia you can pick a fake one up for about 50p. They do a range for dogs too. Why would you do that? Check out the latest selection of ridiculous “multifunctional headwear” patterns on Amazon, if you must. Layer up! They kept us warm in the Himalayas, while climbing Mount Kinabalu and we’ll be wearing them under our waterproofs on the boat. Merino wool is the way forward. It’s extra warm, wicks moisture away from your body and doesn’t smell even if you wear it for a couple of weeks. Trust me, I have experience of smelly boys who refuse to change their clothes while trekking up mountains. Get a set each. UPDATE – From the UK to the Canary Islands, these have been used on every single night passage. Now that we are in the tropics, I’m hoping that they will get less use. Known to our boys as “Squidge”, a bottle of hand sanitiser lives in the outside pocket of my camera bag. It’s all very well drinking lovely fresh filtered water from your Water-to-Go bottles, but don’t forget that the majority of cross infection comes from dodgy hand hygeine. Wash your hands. If you can’t, use hand sanitiser. On our boat, water is limited so we’ve got a big bottle of Squidge in the heads. That’s boat talk for toilet, y’know. Click here to get a big bottle of Squidge for your heads, or your day pack. These are the things we know and love for backpacking and now boating, but I’m sure you know of more. If you can think of anything that you think should be essential for every traveller, add it to the comments below, and I’ll keep adding to the list. This post may contain affiliate links. If you end up buying anything, it costs you no more, but we get a small commission. We will never, ever, ever recommend anything that we don’t love, own or really, really want. Thanks for supporting our travel blog! This is a rather unusual request as follows: I am dependent on oxygen from a machine at home. I have a long length of line that connects me to the oxygen machine. Is there a yachting-based solution to managing this long line to extend it and retract it as I move around the house? you could look into garage equipment i know they make them for air hoses in work environments what i would be afraid of is the lack of pressure from your machine if your air hose is to long ? 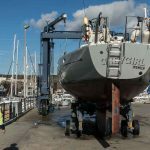 I have to admit that by the time my boat is purchased (using all the info you provided to look out for), and even when I’m on my new boat and getting ready to sail, I’ll be referencing and using a LOT of your info..